The Ohio Administrative Code requires all facilities using radiation generating equipment to be registered with the State of Ohio and have a quality assurance and protection program in place. As part of this program, is it required that your office compile and maintain a radiation manual including documentation pertaining to your office's equipment, procedures, and policies as defined by the Ohio Administrative Code. Radiation generating equipment must be evaluated and calibrated in accordance to state regulations with the frequency dependent on the type of equipment being operated. The Ohio Department of Health will inspect each facility and request proof that these stipulations have been perpetually met. 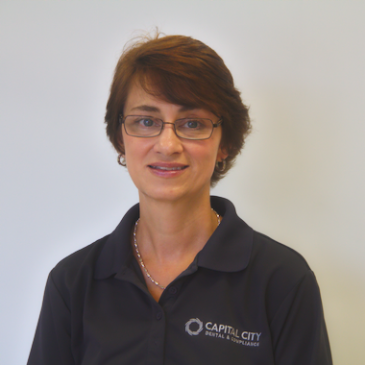 Capital City Dental & Compliance is unique in the industry, experienced in assessing and compiling information to meet state and federal compliance standards. We will assemble your unique Radiation Guidelines & Regulatory Procedures Manual®, evaluate and calibrate radiation generating equipment, and provide our extensive support to maintain your manual's relevance and compliance.